The man was arrested for attacking and killing a person who had tried to prevent him from carrying out a chain snatching. 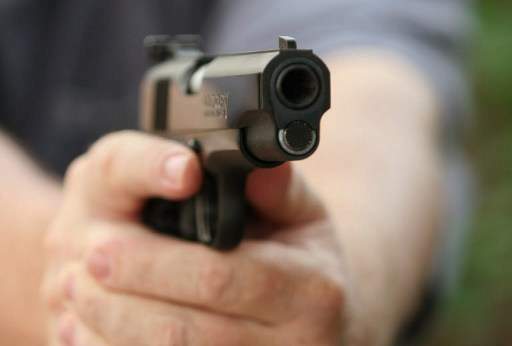 BENGALURU: The city police on Saturday opened fire at a habitual offender who allegedly tried to attack the police in HAL area on Saturday. Just a day earlier, the man was arrested for attacking and killing a person who had tried to prevent him from carrying out a chain snatching. According to the police, Johnson, a resident of Vibhutipura in HAL was arrested on Friday in a chain-snatching case where he had attacked a passerby named Sai Charan who had tried to prevent him from committing the crime. Charan later succumbed to his injuries. On Saturday, Johnson was being taken to the scene of the crime for recording of the panchanama (where investigating officials collect and record details from from witnesses to the crime in the presence of reliable mediators) and recovery mahajar (details recorded with respect to the deceased victim). Johnson requested to be freed on the pretext of attending nature's call. Once freed, he attacked one of the constables Kantha. Another constable Manjesh tried to intervene, but Johnson attacked him too. Additional Commissioner of police (East) Hemant Nimbalkar said Johnson was repeatedly warned to surrender but in vain. Wary of being attacked further, Inspector Sadiq Pasha shot at his leg to subdue him. Johnson has now been shifted to the hospital. The incident would be probed, said police, apart from investigating the crimes committed by Johnson, of chain snatching and attack of a person, who later succumbed to his injuries.